What options are available to those who are looking to sell a property? Do you hire a real estate agent? Is it a good idea to take out an ad in the newspaper? How about posting flyers throughout the neighborhood? How do professionals ensure that a house is seen by as many eyes as possible in order to quickly make a sale? Read on to learn answers to all of these questions and more. Real estate agents in search of homes to show their customers and prospective homebuyers looking for properties are the two main demographics targeted by residential real estate signs in Orlando. Print and online ads are sometimes the first place shoppers are exposed to homes. In these instances, as the interested parties travel to the neighborhood, they rely on lawn signs to guide them. Realtors also use these markers when working with clients who are searching for houses in specific areas. What Are the Most Popular Signs? Informational Markers – If you already have existing signage, these can provide addendums. For example, let shoppers know that you are open to backup offers if your property is currently in escrow, and you are waiting for the sale to go through. Residential Real Estate Signs – This signage can be suspended from a post in the front yard or hung from the eaves of the roof. It showcases the name of the real estate professional and the business they are associated with along with their number and a web address. The marker will say “for sale by owner” if you are selling your property on your own. To drive sales, include your number and site where consumers can go on a virtual walkthrough. Customized For Sale Signage – These markers utilize aluminum frame holders and are perfect when you are using Internet advertising as your main sales tool. For example, when you add a QR (quick response) code, you can give prospective buyers the chance to access the property’s dedicated website. 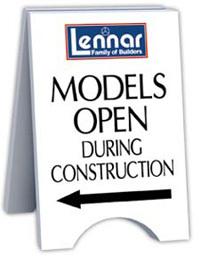 Custom signs are often used to highlight features specific to a community. Open House Signs – When building interest in a property, A-frames and bootleg signs are essential for hosting a successful open house event. Flags and banners are also viable signage solutions. Car Magnets – With custom vehicle magnets, you can identify yourself as a real estate agent whenever you drive up to a house. 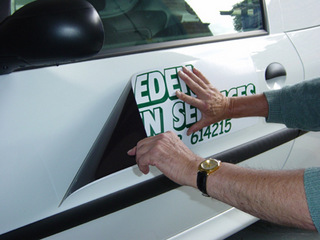 You advertise your services on the road by placing your magnets with your contact information, your professional affiliation, your name, and your likeness on your automobile. 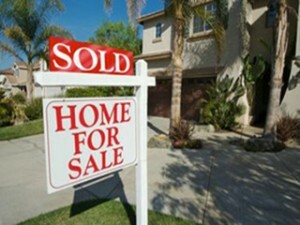 Moveable Real Estate Markers – Try altering the look of your signs if your house has been on the market for a long time. By using moveable signs, you can easily change out lawn signs. You may also choose to reference a virtual tour website and information on comparable properties in addition to displaying the usual information. Talk to the friendly experts at Citrus Sign Studio if you are ready to sell homes with real estate signs and real estate vehicle magnets in Orlando.